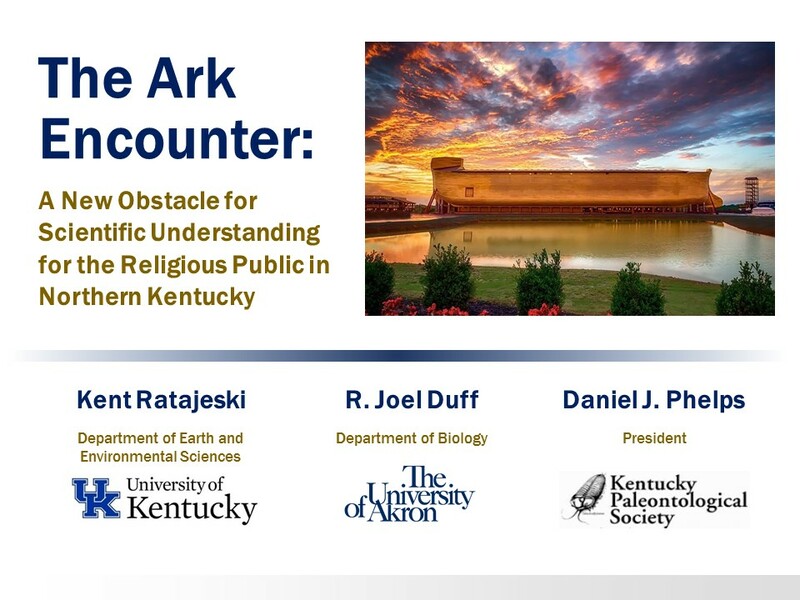 Take a tour of the Ark Encounter with a geologist, paleontologist and myself in this YouTube presentation. In July I visited the Ark Encounter with geologist Dr. Kent Ratajeski from The University of Kentucky. After that trip Kent, myself and Dan Phelps (President of the Kentucky Paleontological Society) worked together – my contribution was rather small – to develop a talk for the Geological Society of American annual scientific meeting. Kent attended that meeting in September where he gave the presentation to a packed room of professional geologists and other interested parties. This YouTube recording was produced by Kent reading his talk over the PowerPoint slides since recordings at the scientific meeting were prohibited. The talk covers a bit about the history of the Ark Encounter, goes through the major exhibits on the Ark and provides some reflections on some of that content.